Solar 101 – Solar Solutions 4U Inc. Solar energy is radiant, produced by the sun. It is referred to as “renewable”, because the sun’s energy is constant and can be used as a dependable source of power. The heat and light that the sun produces can be harnessed to provide electricity, heating, and fuel. It may also be utilized as a fossil fuel alternative which can reduce controversial reliance on foreign sources of energy as well as help minimize localized pollution. Two main forms of solar energy are solar thermal and solar light energy. Solar thermal energy is harnessed from heat produced by the sun. This is commonly used to warm household water and swimming pools. Solar light energy uses sunlight as its source. Electric (PV) Systems simply convert light into direct current (DC) electricity. This form of energy is often used to generate power in residential and commercial buildings. 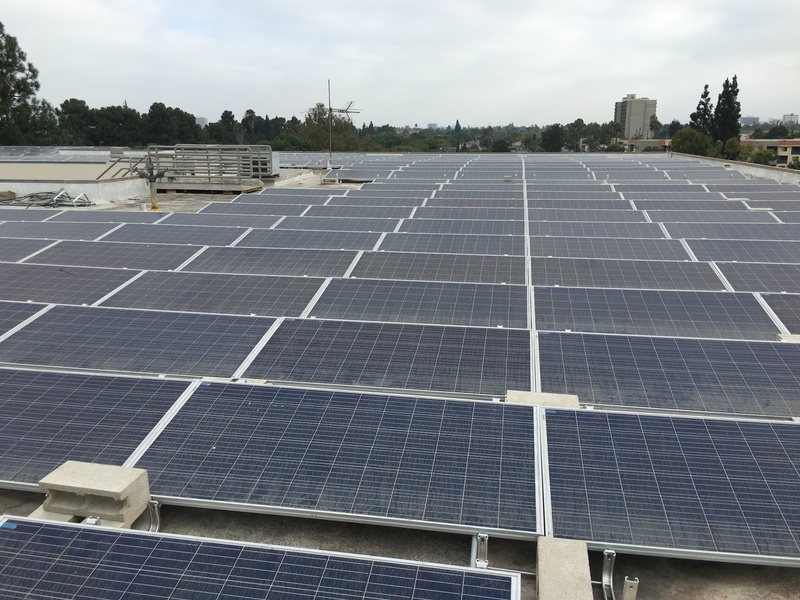 In order to use solar light energy as a source of electricity for residential and commercial buildings, you will need a Solar Electric (PV) System. “PV” stands for photovoltaic – a solar cell technology that works by converting sunlight directly into usable electricity. This system is used in watches and calculators, which work on semi-conducting materials to absorb sunlight and produce power. Larger and more complex PV systems can provide electricity for residential homes and commercial buildings. Solar (PV) Panels – The Solar (PV) Panels consist of dozens of small, square-shaped solar cells which can convert light directly into electricity. A typical solar cell uses semiconductors made from silicon. Inverter – The inverter converts direct current (DC) into alternative current (AC) electricity that is identical to that produced by the utility company. Mounting System – The mounting system securely attaches PV panels to the roof or, in some cases, on the ground. It is designed to provide support and balance. Monitoring System (optional) – the hardware and software system used to monitor the generation of a PV system. Battery (optional) – The battery stores electricity generated by the PV system. Mono-crystalline Silicon – Produced by slicing wafers (up to 150mm diameter and 350 microns thick) from a high-purity single crystal. Multi-crystalline Silicon – Produced by sawing a cast block of silicon – first into bars and then wafers. May be less efficient than Monocrystalline silicon. Thin Film– A solar-electric technology utilizing very thin layers of semiconductor materials which are usually one to ten microns. This type of device uses far less material than a conventional silicon photovoltaic (PV) panel. Amorphous Silicon (a-Si): A very thin layer of silicon that is deposited on a glass, metal or plastic substrate to create a photovoltaic (PV) module. It is the non-crystalline allotropic form of silicon. Copper Indium Gallium Selenide (CIGS): a type of thin film technology that consisted of semiconductor material composed of copper, indium, gallium and selenium. CIGS’s absorption coefficient is greater than any other semiconductor used for solar modules. The term “green” (or “renewable”) describes forms of energy considered to be environmentally friendly. Through the Renewable Portfolio Standard (RPS) Program, many states have adopted a means to promote their use. Adopted by many states, the RPS is a guideline that requires a certain percentage of a utility’s power plant capacity or generation to come from “green energy” sources (such as wind, solar, and hydro or landfill gas). These standards must be met by a specific future date. In California, 20% of the state’s energy should be generated from renewable sources by 2018. An REC is simply proof that a particular unit of electricity was generated by a renewable source. Entities that sell electricity to customers are required by the state to produce a certain number of RECs per year. The REC is attained through self-generation or may be purchased from other renewable energy sources. An REC is not energy – it is a certification that a certain amount of green energy has been generated. The credit can be traded, purchased or sold – it is a commodity. One REC represents one megawatt hour (MWh) of renewable energy that is physically metered and verified by the generator, or the renewable energy project. A company required by law to produce a certain number of RECs per year. A party wishing to speculate on the possible appreciation of REC value. A Green Electricity producer that does not have their own green generation capacity. A party wishing to increase the amount of renewable generation capacity for altruistic reasons. Allows anyone to claim credit for the generation of renewable energy. Satisfies the need to increase the renewable percentage of the total energy mix. Allows individuals or groups to increase the amount of green energy capacity beyond the legal requirement by buying and retiring RECs. Allows anyone to claim service of green electricity, whether or not they are served by a company that offers it.